Bartholet Seilbahnen has opened its second chairlift in China. A new 6-seater chairlift has been installed in the resort of Thaiwoo, in the province of Hebei. The chairlift has two sections, can carry up to 2400 passengers an hour, and is equipped with chairs designed by Porsche. With Thaiwoo due to be a host venue for the 2022 Winter Olympics, a high-speed train will serve as a direct feeder from Beijing, which is three hours away, to Thaiwoo. 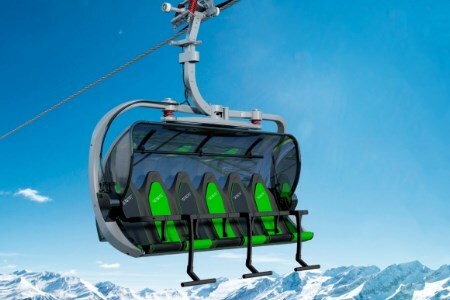 The Swiss company completed its first chairlift in China – a combined lift with 6-seater chairs and 8-passenger gondola chairs capable of carrying 2000 people per hour – in September last year, at the resort of Altay in Xinjiang. Bartholet’s two other ongoing projects in China include an 8-seater cable car and 6-seater chairlift at the Golden Mountain resort in Qingdao, and an 8-seater cable car in Guizhou which, upon completion, is expected to be the longest cableway system in the country.